There are a few stock artists I use frequently that created addition to Photoshop such as brushes and actions. As I use these quite frequently and I know I will forget to credit some of them after using their material for a while I decided to put up a permanent credit on my journal. I will add to this list as I go on. 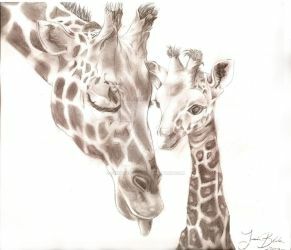 do you mind me using your giraffe family photo for a reference? i will give you credit!! Thank you for the on Castle Rose. I really appreciate your support!